I'd pay twice this for one made of more solid plastic or metal without thinking twice about it. I purchased this recently for a trip to Iceland, and this was perfect. I used it at both the hotel I stayed at as well as a local cafe. It was very useful to be able to charge both my Android and iPod at the same time. The only con, and it is minimal, is that it is a bit on the heavy side. However, it is totally worth bringing on international trips to ensure you can charge your items! This product worked perfectly during my recent trip to Europe. I paired it with a USB hub and was able to charge all of the devices in our party of five! This adaptor is very versatile. It has all the travel adaptors necessary for overseas all at the twist of the device. In addition, it accommodates the Mac Book charger and has two USB ports. My sister and I went to Italy and used this exclusively as our adapter to charge our devices and use our curling iron! The adapter she bought was hard to use and we gave up on it! 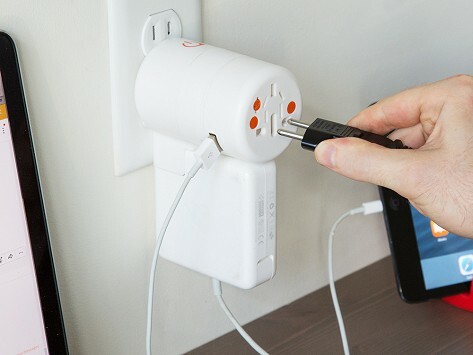 This is a fabulous adapter and I will but a second one next time I travel abroad!! 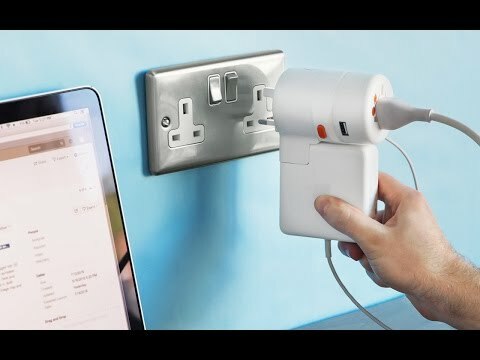 I recommend this adapter to anyone who travels abroad!! Thank you!!!! I leave for Europe in a few days and I have been using my Twist adapter. I love that it will fit in my tiny tech bag. Last time I had to cart a bunch of different adapters around, this so much easier.